A surge in gang violence has prompted education officials in South Africa's Western Cape Province to close 16 schools for two days. At least 50 people are reported to have been wounded or killed after being shot in areas of Cape Town's Manenberg suburb in recent weeks. Provincial Premier Helen Zille has asked the national government to send in the army to help overwhelmed police. A caretaker at one of the schools died after being shot a number of weeks ago. A stray bullet from gang violence hit a primary school at about that time as well. The decision to close the schools was made after teachers said they fear for their safety, Western Cape Province Education Ministry spokeswoman Bronagh Casey told the Associated Press news agency. Aysha Ismail, mother of one of the victims, called for a greater police presence in Manenberg, to try to bring down the levels of violence. Ms Ismail said her son was shot in an area where children play every day. Fellow members said he was a part of the gang called the Americans. Can the gangs of Cape Town be talked out of violence? 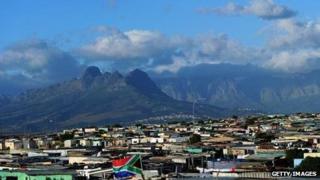 Are vigilantes the answer to Cape Town gang threat?